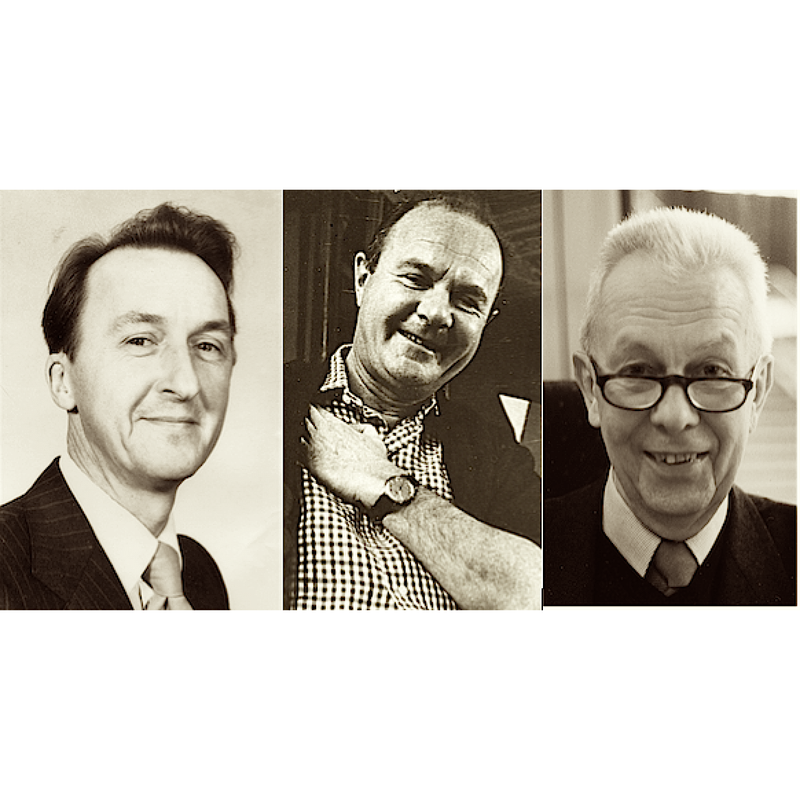 John Ball, Professor of Zoology at Sheffield University and his partner Dr. Gordon Hargreaves, owned the finest collection of Vaughan’s work and were his close and supportive friends. “The Sheffield Boys”, as they became known, preferred to buy directly from Vaughan rather than use a gallery or dealer. Over the years they frequently stayed at Vaughan’s home while he was absent. Ball and Hargreaves were, quite simply, Vaughan fanatics and the walls of their London apartment were postage-stamped with his most important paintings representing every period of his career. Between them their knowledge was encyclopedic including the artist’s working methods, his choice of pigments, the titles and dates of his works, his themes and subject matter and which collection or collector owned what particular picture. Being a Sunday painter, Hargreaves best understood Vaughan’s work from a practitioner’s standpoint and, as a scientist, Ball catalogued and categorized virtually all his canvases. He wrote: “I knew Keith well, and about a year before his death I agreed to his suggestion that I should catalogue his pictures. To this end he lent me his record books, press cuttings book, many photographs etc. After his death one of his trustees (and my great friend) Prunella Clough passed on to me masses of other material….Correspondence and accounts with various galleries, letters to and from various people etc. To this list I have added material belonging to me – colour transparencies, exhibition catalogues, photographs, card-index of paintings, transcripts of TV and radio interviews etc.” The following is a transcript of the letters between the artist and his patrons from Ball’s private archive. The painting was duly collected by Bourlet on Monday & should be delivered to you sometime during the next 10 – 14 days. It is insured (to the sum £500) during transit, but the insurance will cease when delivery is accepted at the University. No doubt your own household policy will take care of it while it is in your possession, but it might be as well to check with your company about this before it arrives. If you decide you would like to keep it I should be pleased to make you a special price of £400 (instead of £450) which you can pay if you like over a period of two years. I am glad the painting has arrived safely, & am sorry you had to wait so long. I am also glad to know that the problem of scale is not as difficult as you feared. I felt fairly confident that it would not be too aggressive once the painting was hung. Thank you for the cheque for the Yazza picture. I’m sorry you’re not able to keep the other one, but I should be very happy to have it back as I now have only three or four left from the 1965 lot. I’m glad you & Gordon enjoyed the Marlborough show & it was good of you to go to the trouble of coming down especially. I have in fact got the Crowd Assembly marked on the canvas #2, but there seemed be no point in putting that in the catalogue only to provoke the obvious question “Where is #1”, so there won’t be any confusion in years to come (?). If you would like to add #1 to your canvas, by all means do. I have it thus entered in my records. With all good wishes for the New Year & I hope to see you again soon. As ever, Keith V.
Sorry to be so slow in replying. I’m glad the new small figure group looks good. It should be insured for £350 pounds. Thank you also for the transparency which will do very well for my records. Sometimes when convenient could I have one of the Musicians as I have no record of this picture except in an unfinished state. 16 May, 1972 Dear John, Thank you for your letter & cheque. I was sorry not to be able to see you when you were last down. But Sundays are normally rather difficult during the summer as I like to come back from the country on Monday morning when the traffic is easier. I’m not surprised you were punch-drunk by the R. A. Wild horses wouldn’t drag me there. The only things I’ve seen recently worthwhile was Bernard Cohen’s show at the Hayward, particularly the early things. Dear John, Thank you for your letter & cheque. I’m interested that you have parted with the Lazarus painting to Hugh. I hope he will be happy with it. Ganymede is at the moment under reserve, with several other canvases, to Merton College SCR. I will let you know if & when it is available. My feeling is that it is a perfectly good canvas of the period, but rather similar in style to the Deposition. Though this may not be a disadvantage if you like the work of the period. Dear John, Pru was up here yesterday & brought greetings from you (she intended to bring some cash also but had left it in the wrong bag! No matter – it is in safe hands) which reminded me that I have not thanked you for your Edouart card. Yes I’m much better, physically, rather bored psychologically. Convalescence is very nice in the morning (no one expects you to get up) but boring in the evening (you are expected to go to bed early – since there is nothing else to do). I have my kidney stone in a sterile jar (my first work in three dimensions) & a large zip fastener embedded in the left side of my torso. It looks as though it could be opened up for inspection whenever necessary. Pru says you’re running short of goldfish. There are plenty in the pond. Why not drop in sometime & catch some. As long as the weather holds I shall dawdle on here for some weeks (driving is still difficult – the zip seems to get caught up with the intestines – you know how painful a carelessly zipped up fly can be). But I shall reappear sometime. 16 March, 1976 Dear John, I was very glad when Leslie told me you had decided to have the 9th Assembly. Two other people wanted it at the opening so I was particularly glad that you got in first. It will certainly round off your collection more than the Deposition.